Slowly after finally seeking help for my postpartum depression I finally started to want to go out, and started taking little steps to those big outings I had been planning the entire pregnancy. Usually these outings were just something simple, something that sounded easy like coffee with a friend at a near by coffee shop! However even that seemed to stressful and to much to handle at times. I was so worried and stressed about being judged for bringing my baby with me, scared that I’d be judged for him crying, or him being loud, and making to much noise, even scared I’d get judged for changing my sons diaper .... and at some coffee shops believe it or not I was judged! Eventually we found the perfect coffee shop and it became the norm for me to pack up my little man, and take a little road trip to where I felt like me and my son were welcomed and comfortable. The half hour trip was more than worth it to get to Simply Grounded Coffee Gallery in Delisle! I felt so welcomed walking into their shop! Their décor is family friendly, and the staff is so personable. 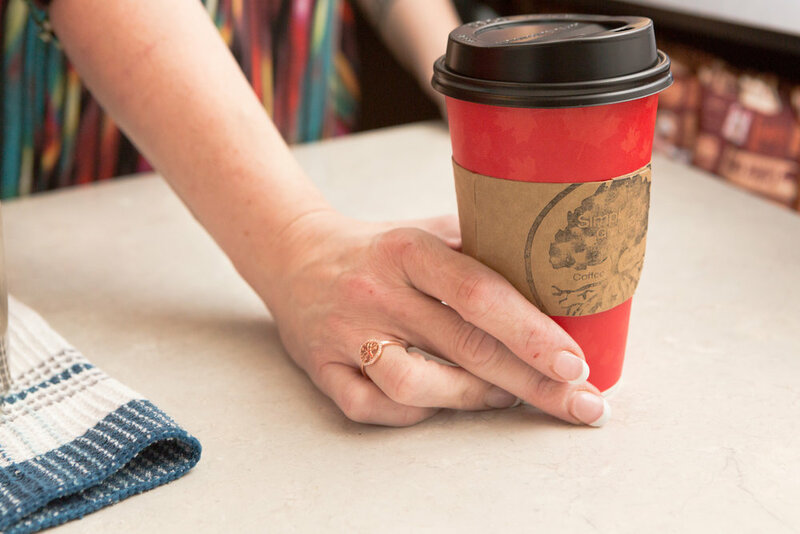 It's easy to relax with one of their signature ground roast coffees such as their Blizzard roast. This is just the tip of everything this small town coffee shop has to offer! My little man is welcomed with smiles and happy greetings every single time, taking all fear off my shoulders, and my husband even loves to join us for a 'coffee trip' when he isn't working. The shop moto is “be sweet, be bold, be inspired” and this is a perfect description of not only the shop, but also the owner. Carol is super sweet, bold and quirky (just check out her shoes!) and as inspiring as one could be with all love and time she puts into her coffee shop and efforts to support all things local! All thebaked goods are made in store; like their SWEET home made Oreo’s, their BOLD roasted coffee is roasted exclusively for Simply Grounded in Outlook Sask., and the INSPIRED décor and word art displayed throughout the building is shop swag or created by amazing local businesses. Looking around the coffee shop it is so easy to feel that inspiration! One of the sayings I saw really spoke to me and has become my daily mantra! “Be a pineapple”. That may sound ridiculous but bare with me... “Be a pineapple, stand tall, wear a crown and be sweet on the inside”. As a new mom, most days I feel like that old sock that you lost under your bed as a child, but by doing something as simple as driving a half hour and having coffee I am able to feel human and proud. Seeing this quote truly has inspired me to look at myself and feel my self worth, not only as a mother, but as a human! Who knew that getting coffee could be so instrumental to my mental health!? 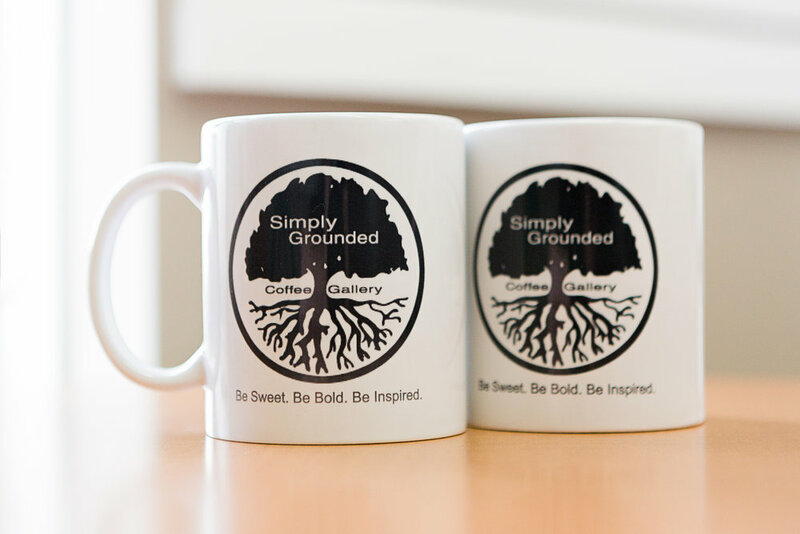 Simply stated- Simply Grounded Coffee Gallery is a perfect addition to the town of Delisle. If you are a coffee lover who loves feeling like not only a valued customer but like a friend to the staff, love to eat good food- especially baked goods, enjoy delicious caramel macchiatos and Saskatchewan roasted coffee, then the half hour drive from Saskatoon is absolutely worth it!